Add the battery pack to greatly increase the time between battery changes. 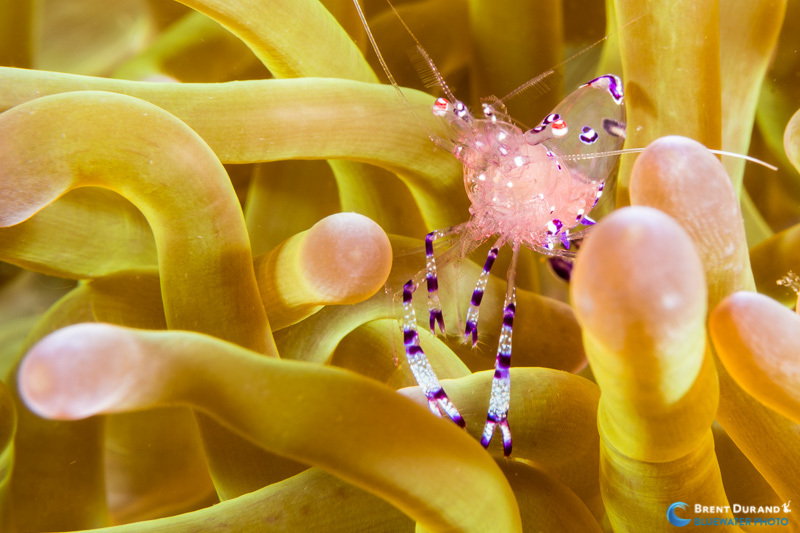 The Nauticam NA-A6500 Underwater Housing pairs perfectly with the Sony A6500 camera to offer a well balanced, ergonomic shooting experience. The high performance, 24MP camera features 4k record, 5 axis in body stabilization and more. 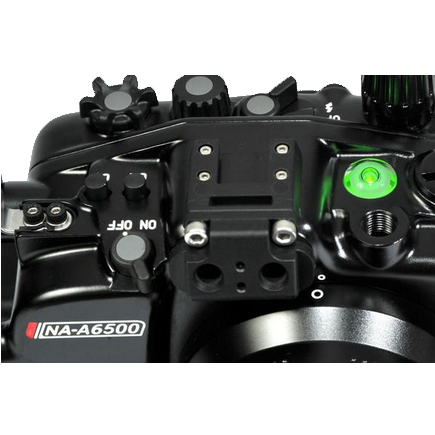 The top of the line Nauticam housing gives you access to all camera features, is crafted from high quality aluminum and offers a range of accessories to create a perfect underwater rig for your photography style. 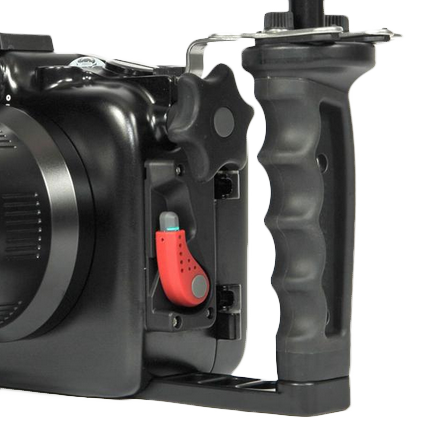 Like all Nauticam housings, ergonomics and ease of use is put at a premium for the A6500 housing. Controls are placed to be at your fingertips, the housing is made as light as possible without sacrificing quality and accessories are available to aid or improve your shooting experience. 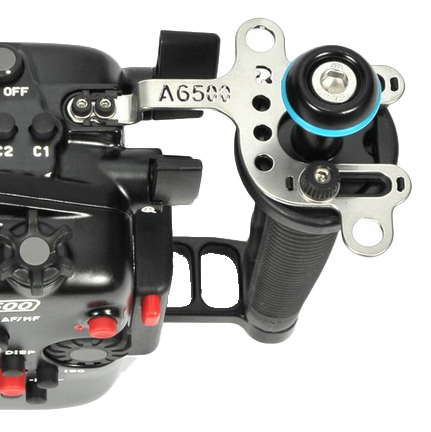 The A6500 features built in handles, made steady with attached handle brackets. 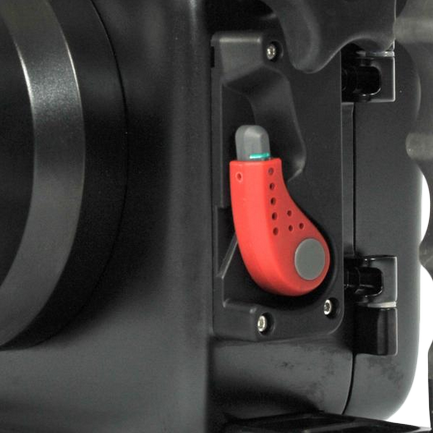 Unveiled on the very first Nauticam DSLR housing in 2009, this locking lever has become a signature of the Nauticam brand. No twisting or threading action is required to mount a port, and even the largest dome locks securely in place with this lever. Nauticam also offers locking port extension rings, meaning a dome will never twist. Another legendary Nauticam feature, these rubberized grips have been used every Nauticam DSLR housing release as well as the NA-A6500 MIL Housing. 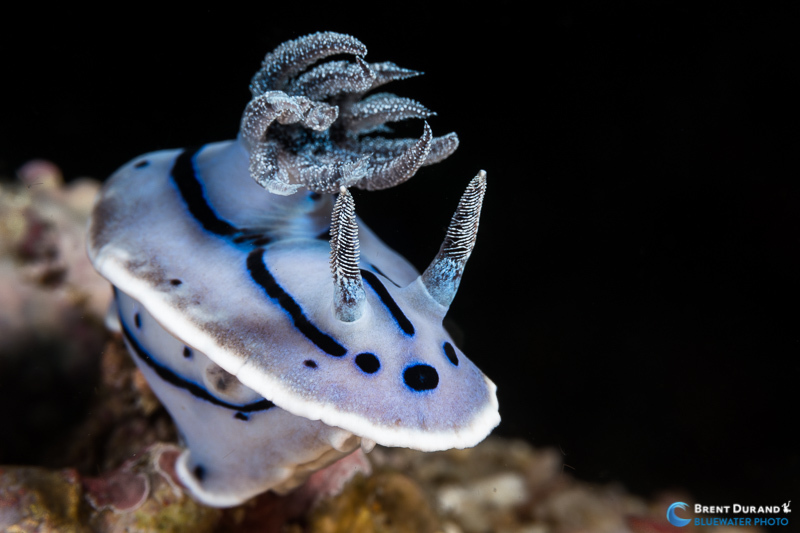 Their ergonomic shape and soft rubberized coating prevents hand fatigue, even on long dives. 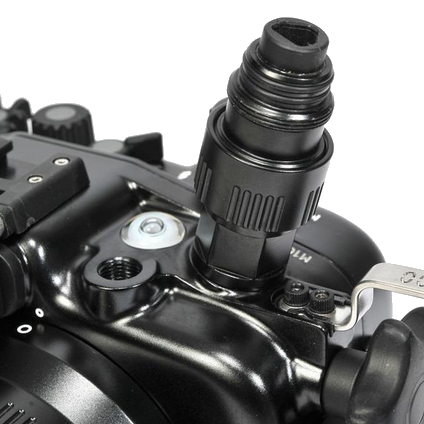 To use an external monitor housing like the Nauticam NA-502H, add an accessory HDMI bulkhead to the M16 port on the front of the housing. (25028+25032+25046 are needed). A new accessory battery pack has been released along with NA-A6500! 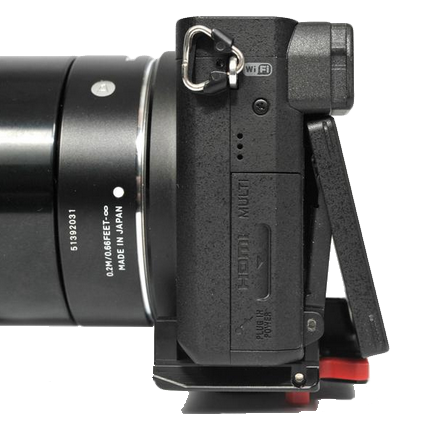 This larger capacity battery provides 2.5x the power of a single Sony NP-F50 battery pack, and slides conveniently into the underwater housing below the camera mounting plate. 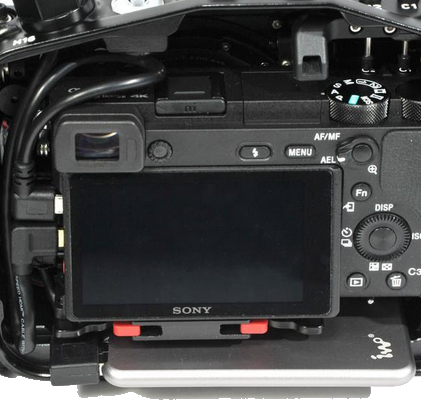 The camera mounting tray allows the rear LCD screen to be positioned at a 15 deg angle. 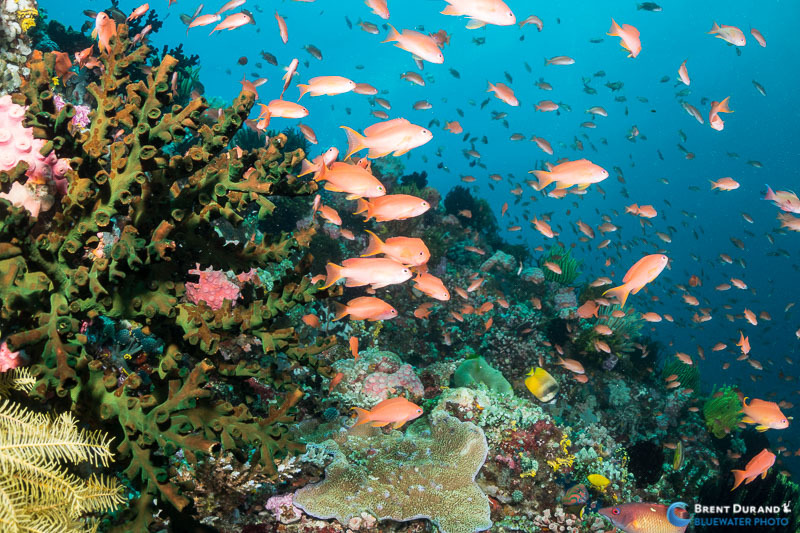 This small angle benefits low angle compositions where the camera is below the diver, and is also useful for snorkeling / surface imaging. Stiffening handle brakets are included with the housing, providing a solid "wobble free" attachment to the integrated tray and handle system. Multiple lanyard attachment points are included in the brackets. A rear thumb lever can be assigned various focus related tasks, such as autofocus on, or autofocus lock. 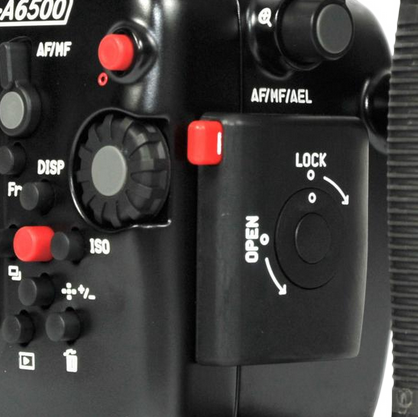 This lever is easily reached while the finger is on the shutter release, and the combination of half press and focus lock functionality puts the user in complete control of the advanced a6500 autofocus system. 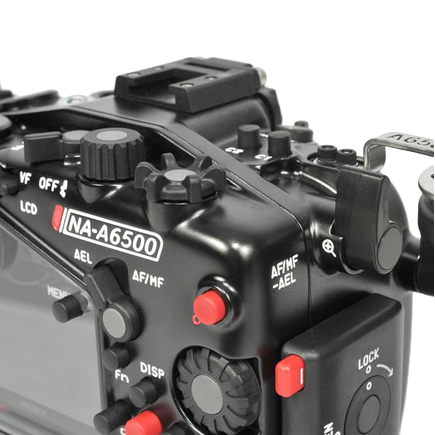 The NA-A6500, in addition to the standard 1" ball mounts on the supple handles also features a cold shoe mount as well as an additional M10 threaded accessory mounting point for focus lights, monitors or additional lighting. Nauticam Universal Sync Cord Bulkhead - for photographers who would want to use electronic sync cord for strobe firing. Call us at 310-633-5052 or email us at sales@bluewaterphotostore.com with any questions. 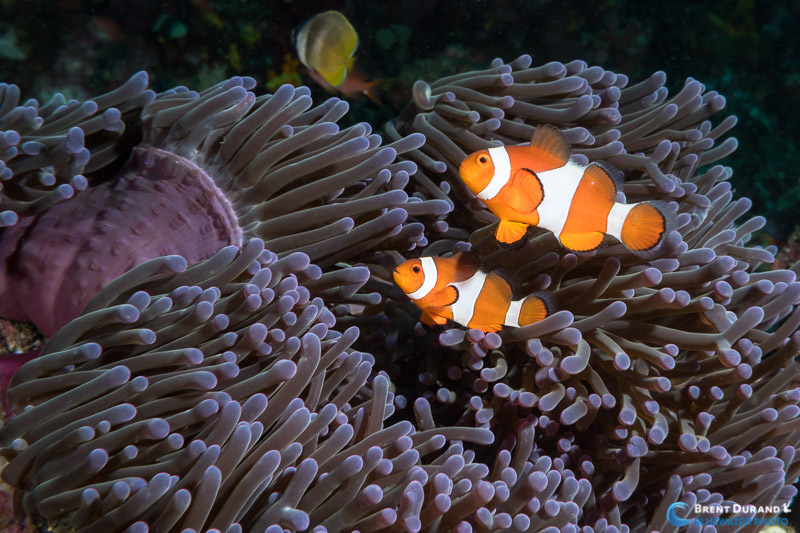 Our Underwater photography experts are ready to help you. Fix Neo MINI 1000 Light - Two Versions!